LANDMARK EXTERIORS - Page 2 of 12 - We're in the business of keeping you covered! Whether you’re in Fairfield or Westchester counties (or Long Island), you’re no stranger to frigid winter storms — and the problems they can create for homeowners. We tend to receive many questions from residents concerned about protecting their property from weather-related damage. So we’re here to help! You’ll stay warmer and prevent drafts by caulking around window and door frames and by installing weather strips beneath exterior doors. Also insulate walls and attics well. Taking these measures helps conserve heat. Make sure you insulate the attic floor well to prevent warm air from leaving the home rapidly and rising up to the roof (where it might promote the development of ice dams). Keeping the attic in a well-ventilated condition also helps prevent dangerous rooftop ice dams. An experienced professional can assist you in installing an attic ventilation system. By maintaining your roof in a leak-free condition, you’ll help shelter your household against inclement weather. Leaky roofs allow moisture to enter the residence. When you don’t have a fire burning in the fireplace, consider closing the flue. This channel, designed to allow the release of smoke, enables cold air to enter the premises from outdoors through an empty fireplace. Wrapping cloth and masking tape around poorly insulated basement and crawl space water pipes also helps prevent freeze damage. If you reside in your home during the winter, consider leaving a small flow of water trickling through interior faucets. This action may help reduce problems associated with frozen pipes. Since water expands when frozen, the pipe may eventually sustain damage, and cause leakage problems in the future. Taking these helpful cold-weather maintenance steps might even assist you in lowering high winter utility bills! And remember, the professionals at Landmark Exteriors are just a call away! Contact us at 203-838-3838 about any cold weather roofing concerns. 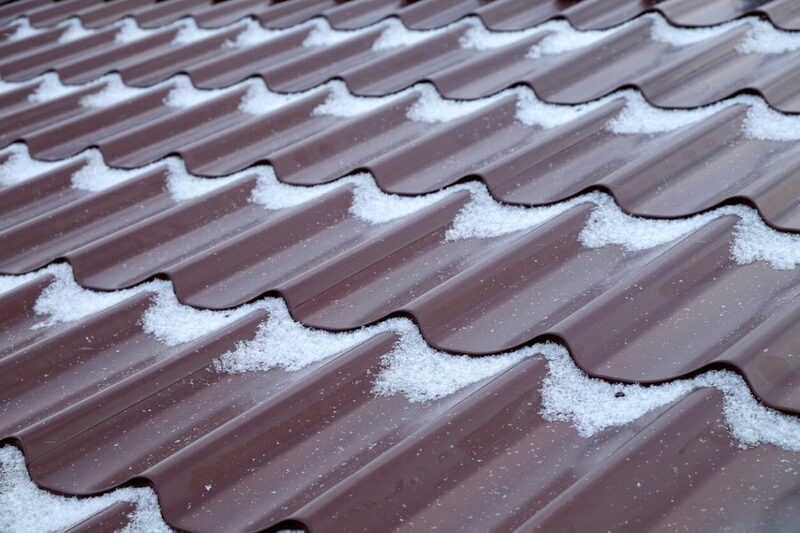 Too much snow and ice can seriously damage your roof, which is why it should be removed before any problems arise. 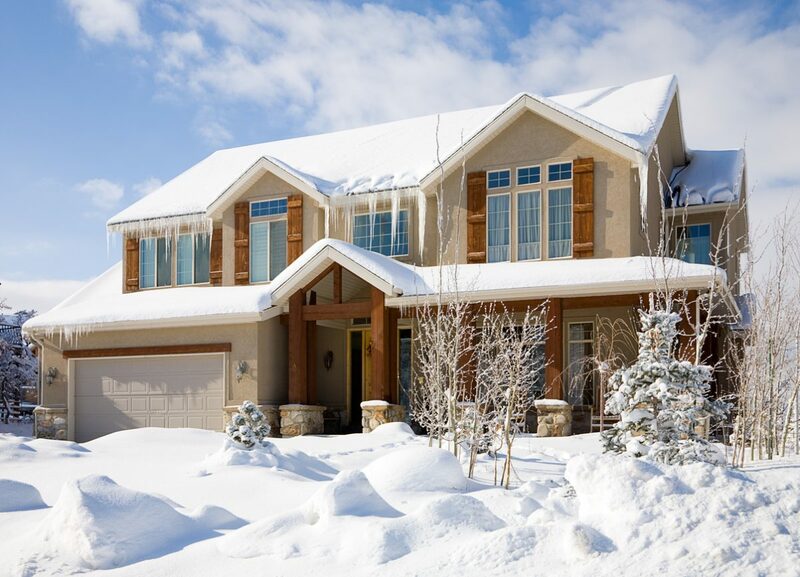 To help you eliminate the odds of structural damage this winter season, contact the pros at Landmark Exteriors! We can provide you with roof inspection and repair, gutter repair, snow guard installation, ice damming, and more! Contact us today at 203.838.3838. Ah, slate roofs — they stand the test of time, while adding beauty and value to your home. With slate roofs lasting over 100 years (if properly installed and maintained, of course), this material can certainly compliment an older home filled with rich history. Variety is key, no matter what avenue you’re dealing with. Luckily, slate is available in a range of sizes, thicknesses, and colors. You’ll be able to pick the roofing tiles that work best for your particular home, so you can best complement other details of the exterior. They stand the test of time. 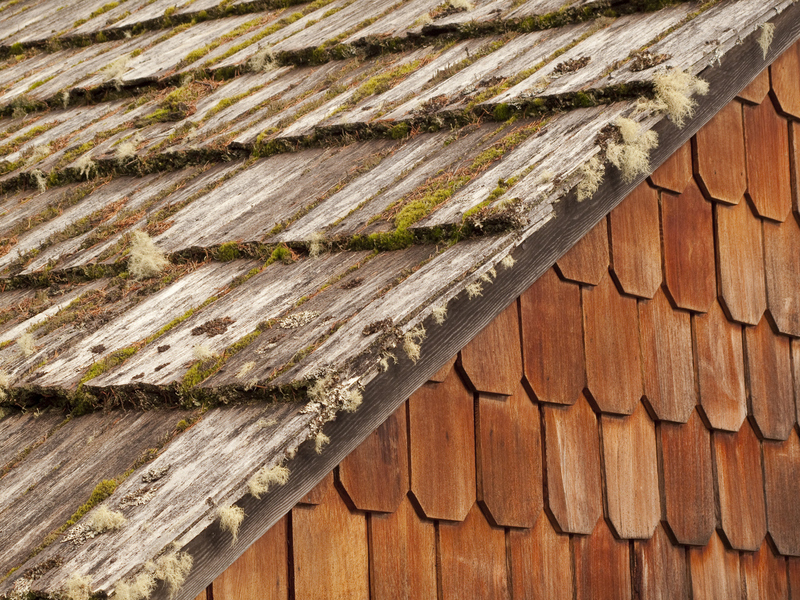 Consider this: most roofs last 20 years before they’re in need of replacement. Slate, on the other hand, can last over a century — which makes it one of the best investments a homeowner could ever make! They’re virtually indestructible. Did you know, unlike other materials, slate tiles are totally fire resistant? Should a neighboring home catch fire or a stray spark from a firework were to hit your roof, you’ll be in the clear. They’re environmentally friendly. Fact: other roofing materials need replacement every 20 or so years, which leads to landfill waste. As you’ve read above, slate can last significantly longer, a wise choice if you’re looking to reduce your carbon footprint. 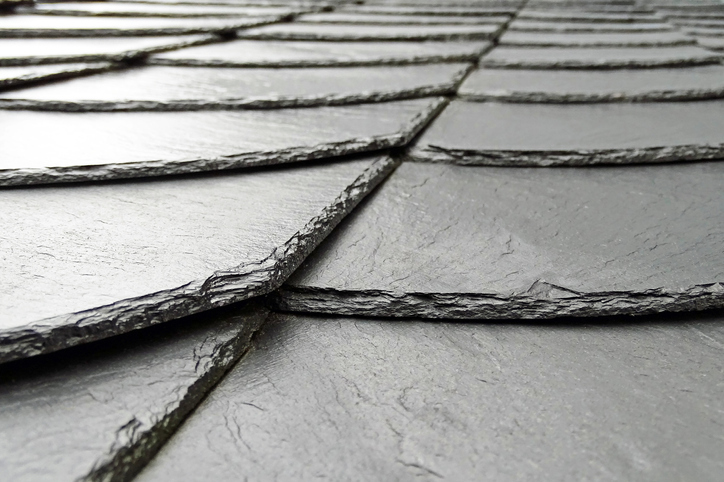 Further, you may choose synthetic slate roof shingles which are made of 100% recycled rubber and plastic — win! So, is slate roofing the right choice for your home? Contact Landmark Exteriors today! If you want to find out what a slate roof can offer your home, we’re here to help! Give us a call at 203.838.3838. We proudly serve homeowners in Fairfield and Westchester counties, as well as Long Island. Your roof is there to protect you against the harsh weather of winter, as well as the heat of summer. If your roof is in disrepair, don’t wait until next season to address the problems — now is the time to get those repairs done. Roof leaks. If your roof is leaking now, get it fixed ASAP. The longer you wait, the more potential damage (like mold, mildew, and rot) the water is going to do to your home. Damaged flashing. Flashing is what keeps water from getting in around chimneys, vents, and skylights. If the flashing is damaged, water can enter your home (causing damage as mentioned in point 1). Clogged gutters. Gutters are meant to move water away from your home. If they become clogged, due to leaves and other debris, water will remain stagnant in the trough. This can eventually lead to overflow and cause your roof to rot, helping water seep into your home. Lifted shingles. Winds and other severe weather can lift shingles. 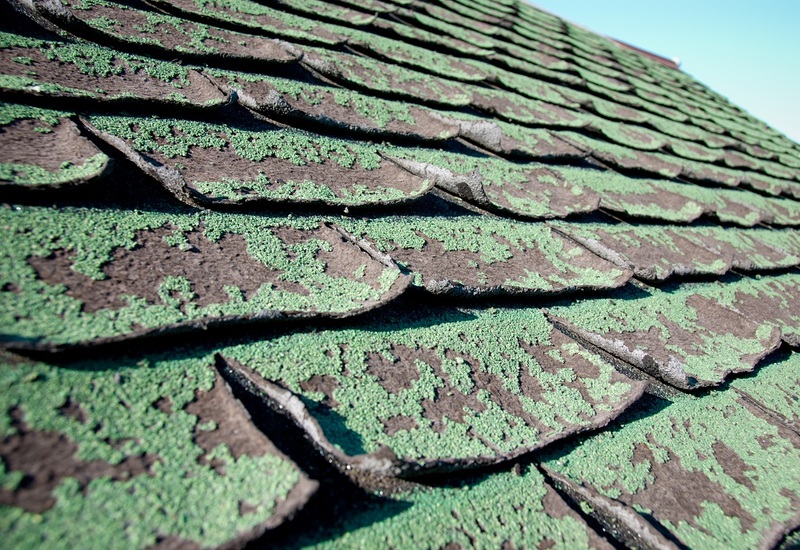 If you have any shingles that are not flat against the roof, give us a call to assess any damage. Sagging roof. Your roof deck and ridge line should be straight. If there is any sagging, it’s a sign the roof is not structurally sound. Tree damage. Whether your tree is overgrown or simply battling against strong winds, it’s not uncommon for trees to break or fall, causing roof damage. If you notice a tree is a bit too close for comfort, consider calling a tree trimmer to minimize potential issues. Small animal infiltration. Small animals like squirrels, raccoons, and birds can take advantage of small openings and start nesting in your eaves and attics. Get the animals removed and the holes covered! Missing, cracked or broken shingles. One broken shingle may not sound like a problem, however, shingles work together to protect your roof! A single missing or broken shingle is a spot where water can get in. When it comes to your roof, preventative maintenance is key! Don’t wait for something to become a major problem before you take action. Addressing issues now can save you headaches later — trust us, even your wallet will thank you! For any roof inspection, roof repair, or roof replacement needs, contact the pros at Landmark Exteriors today. The winds of winter are here, bringing cold rain and snow with them. The roof on your home is going to be the first to take the brunt of a Northeastern winter so of course, you’ll want it to be in tip-top shape. That’s why we recommend a proper roof inspection, now! Why Get Your Roof Inspected Right Now? Do you know what kind of shape your roof is in? Can it handle the season’s harsh weather? Trust us, the last thing you want to discover is a leaky roof in the middle of a storm. Costly and unplanned winter repairs! The last thing you want to do is have to pay for an emergency roof repair in the midst of a winter storm. Opting for a roof inspection now can ensure minor issues or weak points are fixed before they can develop into something more serious. Increased utility bills! In the colder months, you want to keep the warm air inside your home, right? Well, if you have any small holes in your roof, the opposite will happen! In addition to having water leak into the home, you’ll find warm air will escape, driving up your electric bill each month. Repairing these holes will stop leaks AND stop wasting energy, a win-win! Mold! More of a longterm problem, but mold and mildew growth can result from a leaking roof. Mold can spread into the home’s structure, making it a difficult and costly nuisance to get rid of! Not to mention the health issues that come with mold spore production. Curled, buckled, or missing shingles. Most roofs can last 20-25 years, with others even longer pending the material. However, if your roof starts deteriorating before its lifespan, it is time for repair or replacement. Sagging roof. A roof deck should be level and straight. If you see any dips in your attic, you have a problem. Outside light. If in your attic during the day you notice streams of light coming through, that means water can also sneak through those openings. If your roof shows any of these signs, give us a call! Our pro roofers here at Landmark Exteriors are here for all of your roof inspection, roof repair, or roof replacement needs. What to Do if the House You Want to Buy Has a Bad Roof? Should you still consider this house even with the roof damage? The first thing you’ll look at is the condition of the roofing shingles. Each material will have its own telltale signs that they’re old and need to be replaced. Asphalt shingles can crack and curl, cedar shingles can split and turn grey, slate shingles can split and break off, etc. Whichever material this roof utilizes, give the roof a visual inspection to assess the current condition of the shingles. You should also ask the realtor or owner of the house how old the current roof is. When the condition of the roofing shingles or flashing are not in good condition (or are not installed properly), roof leaks are almost always a result. These leaks can cause mold growth, wood rot, and weaken the overall structure of the roof underneath the shingles. 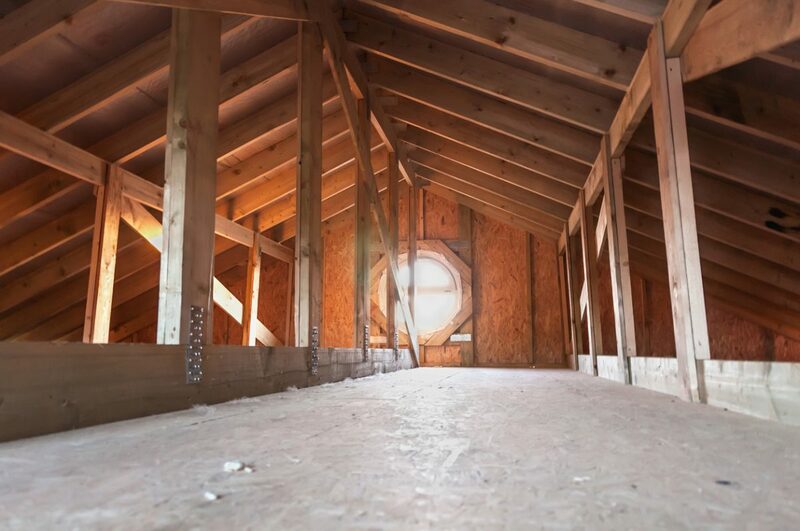 A way to inspect a home for roof leaks is to enter the attic space and look for wet spots, warped wood, mold growth, and light that peers in during the daytime. Roof leaks can be fixed if they’re newer and smaller, but if they’re larger or have been around for a while — the damage could have already taken its toll in shortening the roof’s lifespan. When old age, roof leaks, or too many layers of roofing shingles exists with a roof, the structure of the roof can become damaged and weakened. A roof with a weakened structure will need to be fully replaced — wood, shingles, flashing, etc. 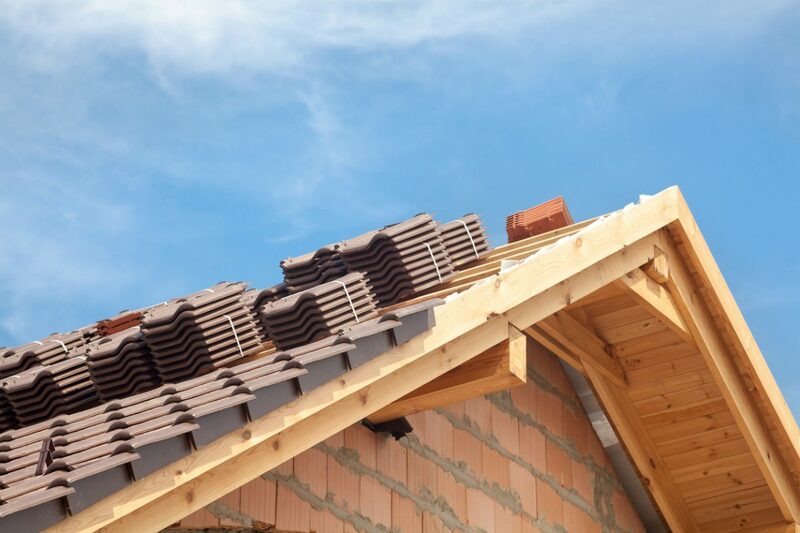 Failing to replace a roof with a weakened structure can put the roof at risk of sagging and eventually collapsing. This not only fails to protect your home from the outside elements but also becomes a hazard to you and your family. When the house you want to buy has a bad roof, you have to take into account the severity of the issues. 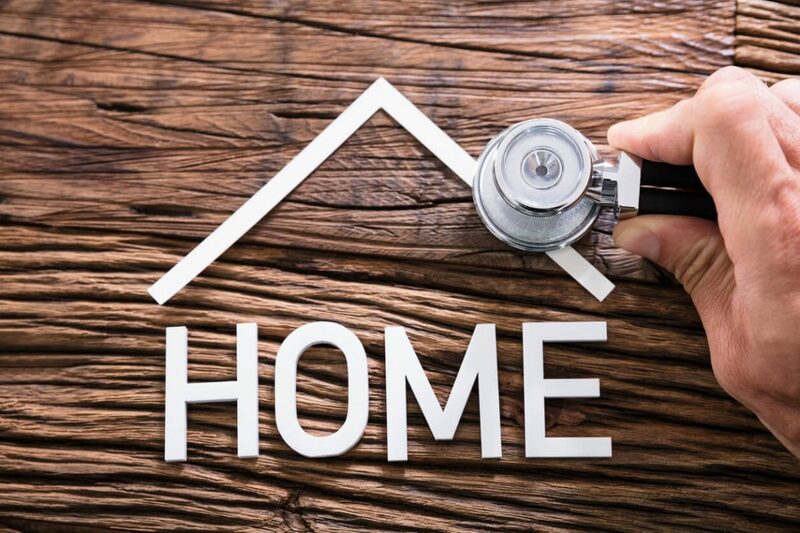 If there are a few missing shingles and small roof leaks that seem to be relatively new, it can be worth it to make the repairs in order to have the home of your dreams. If the roof has severe structural damage, the house may not be worth your time, money, and energy. Finding the perfect house is a moment of bliss — that can easily be ruined by a bad roof. When you’re in need of a roof inspection, repair, or replacement, our roofers will be there for you with a competitive estimate sure to follow! Author adminPosted on September 11, 2018 Categories UncategorizedLeave a comment on What to Do if the House You Want to Buy Has a Bad Roof? When you think of roof damage, you usually think of leaks caused by heavy rainfall or debris that collides with the roof via highspeed winds. No, not Jim next door. The wild animals that live right outside your home! However, certain wild animals are sneaky enough where they will explore your roof without you knowing — until you see the damage they leave behind. Common wild animals that can be found on your roof include raccoons, squirrels, opossums, chipmunks, birds, bats, and a whole slew of insects. The roof of your home is meant to protect your home from Mother Nature’s harsh weather conditions. Roofs aren’t meant to handle constant contact with animals (or humans) or their methods of trying to get inside of the roof to the attic space. 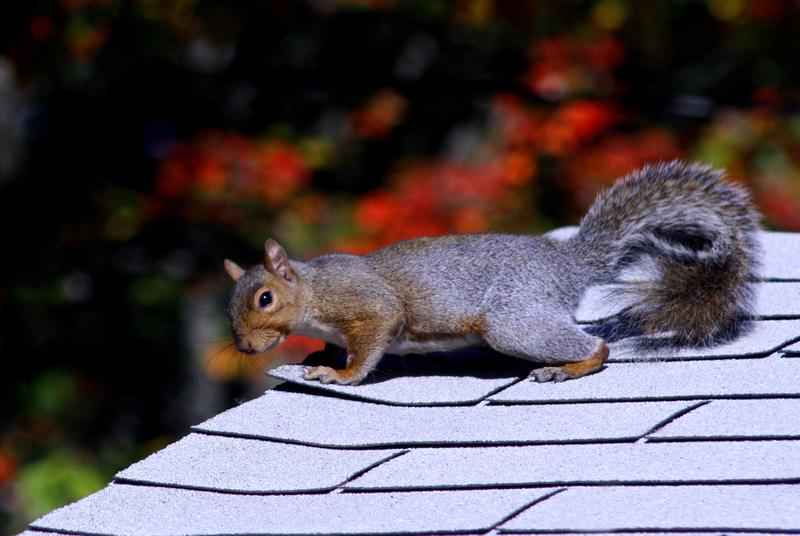 Wild animals like squirrels, raccoons, and opossums will use their paws and teeth to create openings in the roof. Whether the animals get inside of your home or not, the damage will then be susceptible to roof leaks which will lead to wood rot, mold, and a shortened lifespan of your roof. Birds and bats can also cause damage to your roof simply by nesting in troublesome areas — like in roof vents. Nests (and the actual animals nesting) can block the flow of air in and out of the attic space. A lack of proper airflow can damage the structure of the roof during periods of extreme temperatures. Add anti-bird spikes to the edges of your roof to prevent birds from landing here. Have mild roof damage repaired ASAP to prevent wild animals from using this as an easy access point to your attic space. Perform visual inspections of your roof for not only damage but also to look out for any animals nesting. For those experiencing roofing problems because of wild animals, make sure you contact your local pest management specialists to explore the best prevention methods. In addition to pest control, contact your local roofer to have them perform an inspection of your roof and repair any damage these wild animals may have caused.